You are currently browsing the tag archive for the ‘Francis Colpron’ tag. As Apollo’s Fire heads out on a real tour across North American, last weekend’s set of concerts gave us a virtual tour of some of the top orchestras across Europe—all without leaving our seats. Talk about not leaving a carbon footprint! As simply and quickly as on Google Earth, listeners swooped from one musical capital to another — from Hamburg on the North Sea, south to Venice on the Adriatic, and across what we now used to call East Germany, from Cöthen and Leipzig to Dresden. Each of the sojourns featured one of the composers who lived and worked in that town – Telemann in Hamburg, Vivaldi in Venice, and Bach in Leipzig and Cöthen. Dresden—one of the grandest of the orchestras and the pride of the Elector of Saxony—was represented by the little known Johann David Heinichen. 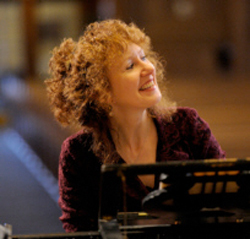 After I congratulated her on launching her ensemble’s twenty-second season, Apollo’s Fire founder and artistic director Jeannette Sorrell said, “We’re into adulthood now, and we’re in a really fantastic place regarding our artistic reputation.” Cleveland patrons don’t need to be reminded of the high quality of playing their resident baroque orchestra turns in on a regular basis, but a wider audience is now sitting up and paying attention. We reached Jeannette Sorrell via Skype last weekend to chat about the multiple performances of seven programs that local audiences will enjoy in area church venues this season. 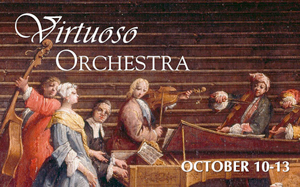 It all begins with “Virtuoso Orchestra”, which opens on Thursday, October 10 at First Methodist in Akron and will be repeated on October 11 and 12 at Fairmount Presbyterian in Cleveland Heights and on October 13 at Rocky River Presbyterian.